Deck the halls and deck your guests out with tasty holiday beverages when you sell Holiday Tree Drink Tickets at your seasonal event. 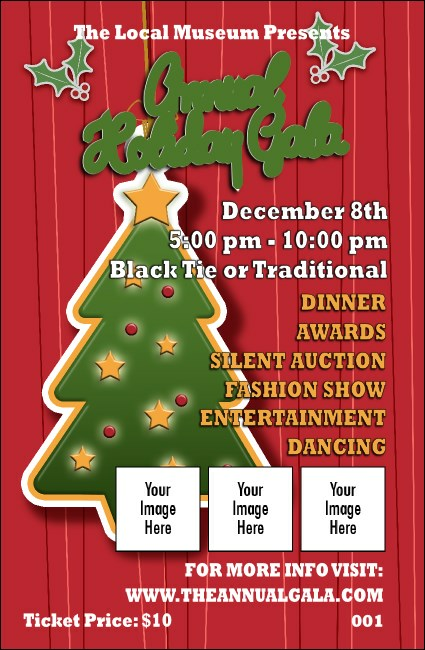 With room to upload three of your own images on a red background accented by mistletoe and a Christmas tree trimmed with decorations, these tickets will put a drink in every hand and a holiday smile on every face. You don’t have to look under the tree to find the right ticket at TicketPrinting.com!